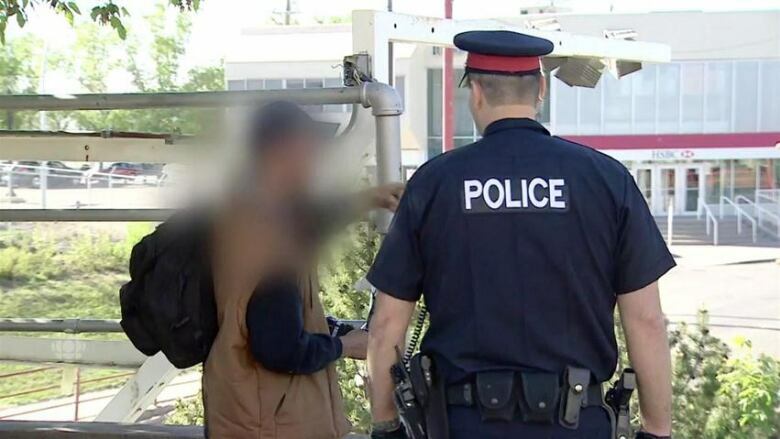 The Edmonton Police Association has written an open letter defending street checks as a valuable tool for increasing public safety and preventing crimes. The Edmonton Police Association has written an open letter to Edmontonians defending street checks as a valuable tool for increasing public safety and preventing crimes. The letter, shared on social media and provided to CBC by the police association, is in response to recent data obtained by CBC Edmonton showing Edmonton police from 2012 to 2016 disproportionately stopped, questioned and documented people of colour who were not suspected of a crime. Advocacy group Black Lives Matter Edmonton, which separately obtained police street check figures dating back the same five years, has said the statistics are evidence of racial profiling — an assertion the police association disputes. Sgt. Cory Huculak, acting vice-president of the Edmonton Police Association which represents more than 1,850 Edmonton Police Service members, writes in the letter that, "'carding' or arbitrary stopping of people based on race does not exist in Edmonton." He adds: "We do not target people based on race. Carding does not exist in Edmonton and nor should it." Huculak, a beat sergeant in north Edmonton, says in the letter that during his 20 years of service, "I have never witnessed a police officer act in a racist manner." He insists police always explain to those stopped, "whether they have the lawful right to refuse," and that street checks are "never random" stops. "We are there because you called, there is a crime in progress, a recent crime has occurred that we are investigating or we have reason to believe that your neighborhood is at risk of a crime," the one-and-a-half-page letter states. He also rebukes media outlets for their coverage of street checks. "The practice of throwing out statistics without placing them in context is irresponsible and not proper investigative journalism," says Huculak. "We challenge the media to get the full story." Huculak declined CBC's interview request, as did Edmonton police Chief Rod Knecht. 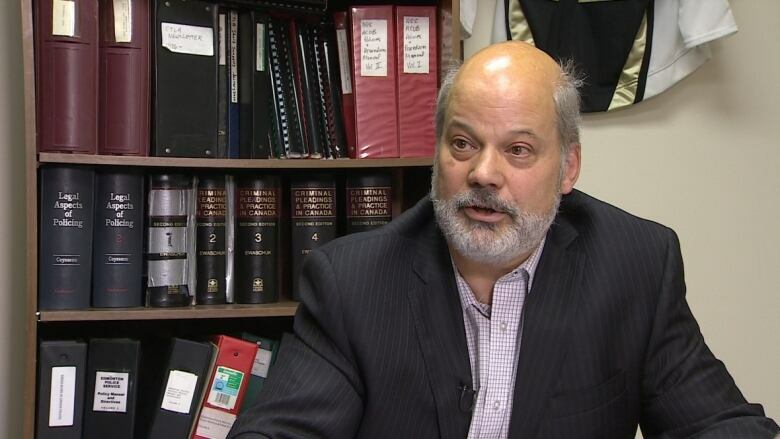 But Edmonton defence lawyer Tom Engel disputes many of Huculak's points. "The officer might not be thinking, 'Well I'm stopping this person because he or she is Aboriginal,'" said Engel. "But the effect of that is racist. It disproportionately targets a certain racial group." While Engel said he agrees that police should be able to interact and get to know community members while patrolling high-crime areas, he challenged Huculak's suggestion that carding is never random. "Just to be clear, the complaint [about street checks] is about a completely random stop," said Engel. "That is they don't have any evidence that a certain individual is involved in any crime, past or present and they stop the person and then start interrogating them." Engel also questioned Huculak's assertions that he has never witnessed racist behaviour or that police inform people of their rights during a street check, noting public comments that suggest otherwise. In October 2015, EPS Insp. Dan Jones suggested that opening a conversation by informing a person of their rights during a street check would defeat the purpose. "If I walked up to some of these individuals and said, 'You have the right not to talk to me,' how is that engaging?" Jones told reporters in October 2015. Current EPS street check policy obtained by CBC through a freedom of information request confirms those stopped aren't obliged to answer questions. "Members must be aware that the subject is not obligated to provide any information during a street check, and may disengage with members at any time," states the policy. "Members must be able to articulate this to the subjects, and should be able to reinforce that the subject is not under detention if questioned." Huculak's letter reminds the public of the laws and policies that hold police to account and outlines efforts made by police to protect and build bridges with minority groups. Huculak criticizes special interest groups for "false and inaccurate comments" which are "threatening the relationship between the public and police." He challenges them to "seek to understand and open their minds" to consider all the facts. He also urges Alberta Justice Minister Kathleen Ganley and a working group reviewing street check policy across the province to get "the full story."